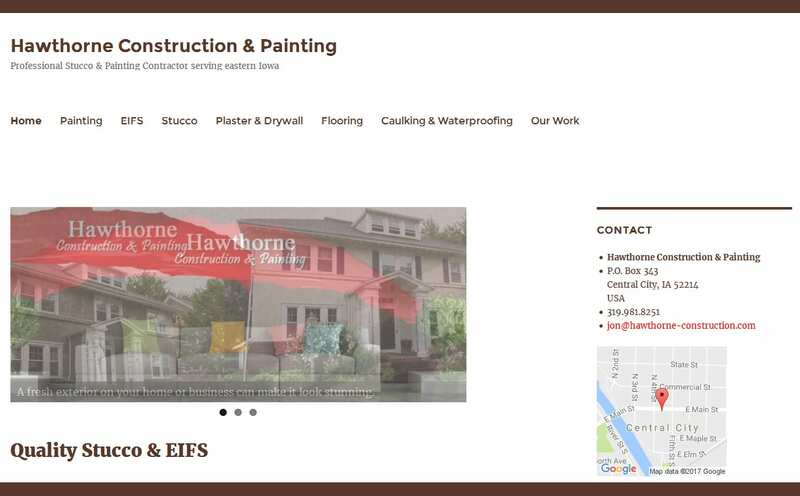 When Jon Beimer of Hawthorne Construction was referred to Shield Bar Marketing he had a Go Daddy website builder site that just wasn’t working well for him. He was frustrated with trying to make the site work, and wanted to concentrate on what he does best – painting, stucco work and construction. We rebuilt Jon’s site and have added photos of his work as he provides them. Jon says now that his website helps bring work to him.